Minnesota Xcel Electric customers- now is the time! 2009 U.S. Department of Energy (DOE) regulations require T12 fluorescent lighting be phased out in 2012 and will no longer be available. To help it’s Xcel MN customers with this change, Xcel is offering bonus rebates through 2012 for T12 to T8 retrofits, T12 to T8 optimization projects and T12 to T5 lighting systems. Now through March 31, 2012, all Xcel Energy is offering 50% bonus rebates to their Minnesota business electricity customers. These T12 conversion projects must be completed and invoiced on or before March 31, 2012. T12 upgrades completed and invoiced between April 1 and December 31, 2012, will be eligible for up to a 30% bonus rebate. Note: Rebates for T12 upgrades will not be available after December 31, 2012. After 2012 there will be no more T12 fixtures sold and as of last year there are no more magnetic ballasts sold. T8s and electric ballast are proven technologies, so there is no reason to keep playing your utility company for more electricity than you need. Note: All rebate amounts are per retrofitted fixture. Rebates cannot exceed 75% of project cost. Applications must be turned in within 12 months of invoice date or no later than May 1, 2013. Details can be found on the Xcel website although it takes some hunting to find the rebate forms. Bright Energy Solutions (Moorhead Public Service/Missouri River Energy Services) is offering an Excel spreadsheet to help you calculate cost savings and payback potential of lighting retrofits. It can be found under the Lighting New Construction and Lighting Retrofit section of their Energy Calculators For Your Home or Business webpage. In addition to these custom rebates Bright Energy offers specific incentives for Exit lights, reach in refrigerated case lighting, Energy Star qualified recessed downlights, and Energy Star qualified recessed downlight retrofit kits. These specific incentives are listed the Lighting Retrofit and Lighting New Construction application forms. In 2010 we increased customer rebate levels on most of the products covered by our Lighting Efficiency program. These rebates help our customers offset the higher cost of more efficient equipment by funding a reasonable portion of each project, not to exceed 60 percent of project cost. However, economic conditions changed considerably later in the year and the cost of the equipment – particularly parking garage lighting – was not as high as originally anticipated. And while reduced cost is good news for customers, it also means we must follow suit when setting our rebate structure. As of January 1, 2010 Xcel Energy has significantly increased their lighting rebates in Minnesota. Now is the time to look at updating your lighting in your business. Rebate levels increased an average of 60% or more. This will helps reduce out–of–pocket costs, shortens payback times and lowers your overall energy costs. This is offset by stricter rebate requirements as Codes and efficiency standards continue to increase. All T8 4-foot fixtures (including high bays and parking garages) must have a high–efficiency ballast. Xcel utilizes the CEE specifications for these ballasts which are listed on the rebate form; a list of qualifying high–efficiency ballasts is also available online. Additionally, the reflector rebate has been replaced with a Lighting Optimization rebate. The rebate calculation for compact fluorescents (CFLs) is now based on the total fixture wattage, not the individual lamp wattage. Effective dates: Invoices must be dated 1/1/2010 or after to qualify for 2010 rebate levels. Use the new 2010 rebate applications which are posted on the Lighting program page. Update: the Xcel program has changed again- check here for more rebate details. Effective July 1, 2009, Minnesota Xcel Energy business customers converting from 150W or 175W high intensity discharge (HID) lighting to two- or three-lamp T8s or T5H0s are now eligible for a rebate of $50 per fixture. Xcel has simplified the process with new rebate forms. See the Parking Garage Lighting Application for requirements and rebate incentive information. A complete building-wide lighting system analysis of can show you the best approach to improve lighting design or to reduce existing light output while maintaining proper lighting levels for your needs. Xcel has increased lighting redesign study incentive to 75% of the cost of the study, not to exceed $25,000, and more than doubled many of our equipment rebates. Every step to lower lighting use, from installing energy-efficient lighting to adding controls or offering in-depth photometric analysis can significantly lower your customers’ energy bills and earn substantial rebates. A) $400 per kW saved for preapproved projects when they add their lighting system to a building control system or add microprocessor controls to lighting systems. B) Custom Efficiency program now offers a method of analyzing lighting projects that yield greater rebate potential for your customers. New boilers, efficiency-boosting add-ons and tune-ups for boilers used for space heating and/or domestic water heating now can go through our Boiler Efficiency rebate program without preapproval. Xcel offers rebates for projects that improve the efficiency of existing equipment such as boiler tune-ups, steam trap repair/replacement and boiler add-ons. The long-awaited Minnesota Energy Code for Commercial Buildings will take effect on June 1, 2009. The code itself adopts the ASHRAE 90.1-2004 Energy Standard with minor modifications. The new code will have an impact on Energy Design Assistance, Cooling Efficiency and Variable Frequency Drives. Because the adoption of a new, higher energy code will result in increased minimum efficiencies. For more information about the commercial energy code, please visit the Minnesota Department of Labor and Industry construction codes and standards energy Web site. 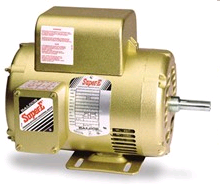 Next to Lighting, Motors are the second best area for saving money in your facility. Did you know that electrical costs account for approximately 95% of your motor’s lifetime costs? Drives and speed controls provide further savings when motors are run for long hours with light loads. This all adds up to big savings when it comes time to look energy improvements. The program is run through participating member utilities of the Missouri River Energy Services of which MPS is a member. Missouri River is a collection of municipal utilities operating in Iowa, Minnesota, North Dakota and South Dakota. If you are a customer of one of these utilities this program is for you. Ray, Chuck, and I arrived early to meet with the MPS staff. Drinks and hors d’oeuvres were served. Bill Schwandt, General Manager of Moorhead Public Service welcomed the guests and introduced his staff and those of MRES and Franklin. Kurt Hauser, is Missouri River’s Energy Services Technical Coordinator. Kurt explained the constraints Missouri River Energy Service operates under. The Bright Energy Solutions program will help them satisfy Minnesota’s legal requirements and delay building new generating plants. After the presentation, Ray and I had a one on one meeting with Kurt Hauser about the program, help we might need, and services we could provide including facility auditing. For a new program it is pretty complete. Looking at the application forms, the program should be as easy to deal with as Xcel Energy’s programs. All three organizations reiterated they would be happy to help in anyway they can. Dennis Esienbraun (MPS, Energy Services Manager) asked to be contacted early in any project particularly if the project involved any custom incentives. The program offers a nice cash rebate to replace T12 Fluorescents with T8 or T5 lamps and electronic ballasts. There is a larger rebate if you install new super efficient electronic ballasts such as the Sylvania PROStart. There is also a cash rebate for using 28 Watt T8 lamps if you already have 32 watt T8 lamps. The rebate pays for the cost difference so I highly recommend contacting us about these lamps. There is large rebate for replacing high bay HID fixtures. This is an easy retrofit; with the rebate it pays for itself quickly. There are also cash rebates for Compact Fluorescents, Ceramic Metal Halide Floods, LED lamps, Induction Fluorescent Lamps, and Lighting Control systems. These are all technologies we can help you will. (Heat, Ventilation, and Air Conditioning) They quickly covered these cash incentives. The Cooling, Chiller incentive covers: package systems, split systems, PTEC units, Heat pumps, Ground Source Heat Pumps (with an optional incentive for Desuperheaters), Window AC, Wall AC, Setback Thermostats, Chilled Water Resets, and Window Film. Obviously there are stringent requirements for these incentives but if you’re replacing equipment or adding new equipment these incentives can help pay for better equipment. There are incentives for Motors, Pumps and VFDs. In our experience these three items usually have very good paybacks and the incentives are just icing on the cake. Bright Energy Solutions offer cash incentives for Energy Star rated: Solid Door Refrigerators, Solid Door Freezers, Ice Machines, Steam Cooker, Holding Cabinets, Fryers, Griddles and Ovens. So if you have a commercial kitchen and are thinking of upgrading or adding commercial electric equipment these incentives can be a big help. Many of the incentives listed above are also available for residential customers of MPS and MRES. This includes: Furnaces, Central Air Conditioners, Ground Source Heat Pumps, Air to Air Heat Pumps, and Compact Fluorescent Lamps. Almost anything not listed above that cuts your electric demand in the summer months can be file under the Custom Incentive. Contact MPS or ourselves for assistance in calculating the potential incentive. Effective Concepts has all the forms and expertise to help you maximize your energy savings, cost savings, and incentive, so if you’re a customer of Moorhead Public Service or another municipality that is a partner of Missouri River Energy Services we can help you.